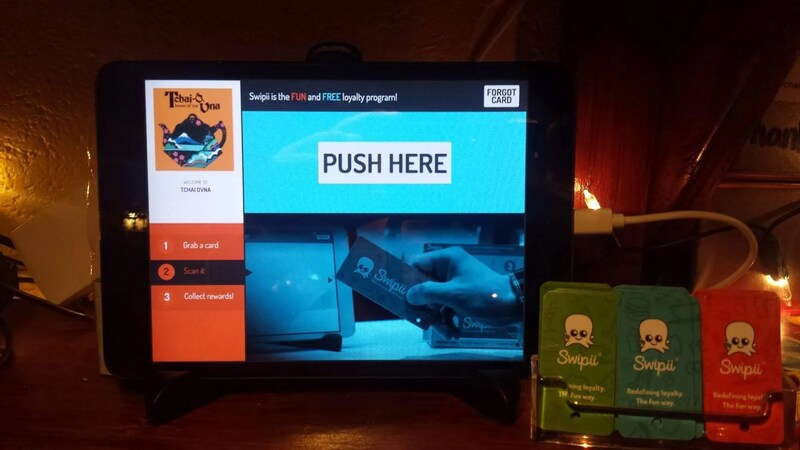 We’re currently trying out a loyalty system called Swipii… It’s easy to use (come down and we’ll explain it) and you can get all kinds of fun rewards. 20 points (just four visits) gets you a free green tea of your choice. 25 points (five visits) gets you a pot of yogi chai. 50 points (ten visits) gets you a dahl, chilli, curry or falafel. 100 points (twenty visits) gets you a meal for two with tea. 250 points (fifty visits) gets you a lovely gojou tea set. Please note – each time a prize is claimed the counter resets. So come down and try it. It’s worth a swipe!